When you build up an excess amount of saliva in the mouth, the natural thing to do is to spit it out. We are all taught that spitting is a nasty habit and is not something to do in an obvious way. While not being seen is one reason to avoid getting rid of the saliva in the mouth, there is another thing to think about. Saliva can help prevent cavities. What Does Saliva Actually Do? 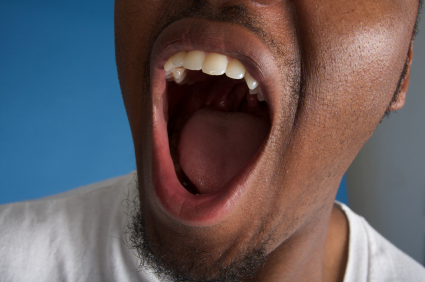 You are aware of the saliva in your mouth, but do you know what the purpose of saliva is. It does many things that most are not aware of. The saliva helps break down the food we put in the mouth. It makes it easier for the teeth to chew the food. It also helps wash away any debris or food that is in between the teeth or stuck to the teeth. Saliva also has calcium, phosphate and fluoride ions it. All the things that saliva does can help prevent cavities. Washing away the debris from the teeth and gums prevents the bacteria that leads to cavities from growing. Breaking down food means the teeth are less likely to break, chip or wear down. The ions within your saliva are helpful in protecting the teeth from the bacteria in the mouth. They not only can prevent tooth decay, they can help repair any damage to the teeth. While people may not want a lot of saliva in the mouth, not having saliva can lead to many oral health problems. Dry mouth can lead to mouth ulcers and tooth decay. It can lead people to drink things that are not healthy for their teeth. So, you may not like a lot of saliva in your mouth. You may want to spit it out. Be careful when you do that. Your teeth may not want to get rid of the spit as much as you do and will make you pay for that choice later. To learn more about your oral health, contact the professionals at our offices with any of your questions.